Located on the east side of Thompson Pass. 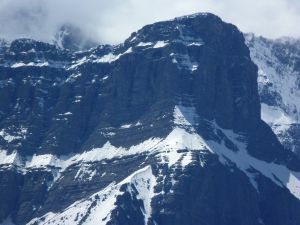 The summit can easily be ascended from the west via scree slopes. Name Notes: Named in 1902 by James Outram because he felt "watched over him" as he went up the valley towards Thompson Pass.